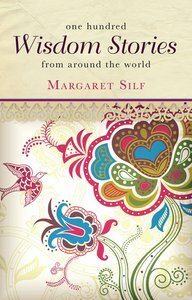 This vivid and varied collection of stories with a spiritual message is gathered together by Margaret Silf from a wide range of time periods and cultures around the world. Stories can be a powerful means of communication; each of these stories has at its heart a spiritual message that reflects Christian values, which means that they can be read at different levels. They are ideal for personal use and enjoyment, and will also be a valuable resource for church leaders and school teachers. The book is divided into 8 thematic sections: The Created Universe; Human Relationships; Rites of Passage; A World in Pieces; Suffering, Healing, Growth; The Journey to the True Self; The Road to Transformation; and The Dream Fulfilled. About "One Hundred Wisdom Stories From Around the World"
The Book Is Divided Into 8 Thematic Sections: The Created Universe; Human Relationships; Rites Of Passage; A World In Pieces; Suffering, Healing, Growth; The Journey To The True Self; The Road To Transformation; And The Dream Fulfilled.